This drug has active ingredient Klenprime 60 mg and is used for medical purposes for the treatment of asthma and allergic reactions. The substance has a direct effect on beta-2-adrenoreceptors, speeding up the metabolic processes in the body by 10-20%. Anti-catabolic effect of the drug prevents the breakdown of proteins and muscle destruction and stimulates the use of lipids as fuel for accelerated catabolism. Klenprime 60 mg is not a diet pill for girls, but a very serious drug. This, importantly, is not a steroid hormone and is safe to use. It does not cause serious side effects. When used in conjunction with the course of anabolic steroids, their action is enhanced by active metabolic processes. Under the influence of this drug, the number of proteins disintegrating in cells decreases, and muscle cells increase. Medical instructions for the pills report that the drug blocks calcium cations, which are responsible for the stability of skeletal muscles and protein catabolism. 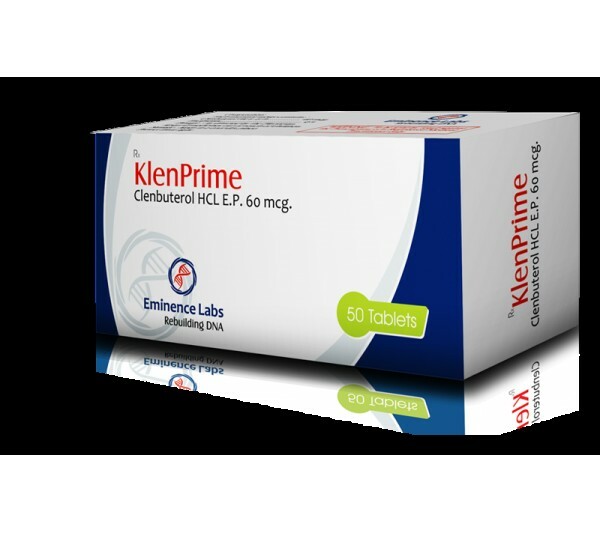 Klenprime 60mg suppresses the activity of lipoprotein lipase, as a result of which fat deposition in adipose tissue becomes impossible. Acting on the beta-2-adrenoreceptors of the central nervous system, this drug enhances the secretion of thyroid hormones - the body's natural fat burners. A unique feature of clenbuterol is that it is not only a powerful fat burner, but also has a pronounced anti-catabolic effect, protecting muscles from destruction, which is very important during weight loss and bodybuilding drying. In studies it was found that the anti-catabolic effect of the drug is due to the blocking of Ca ++ dependent and ubiquitin-proteasome proteolysis.